Internet radio is now quite commonplace, and there is definitely no shortage of sites you can go to and enjoy your favorite music online. Among some of the more popular sites are Sirius, XM Radio and Pandora, and each offers a similar–albeit slightly different–service. Let's see what each has to offer. Sirius is a satellite radio that services the United States and Canada. It is under the ownership of Sirius XM Radio, and its headquarters are located in New York City. The station also has studios in Los Angeles and Memphis, and was launched on July of 2002. Sirius currently offers 69 music channels and 65 sports and news and entertainment channels. Sirius broadcasts 24 hours a day, and its programs are both uncensored and free of commercials. XM Radio is a company that offers two satellite radio services to U.S. and Canadian listeners: Sirius Satellite Radio and XM Satellite Radio. The company is actually the result is a merger in which Sirius acquired XM in July of 2008. Pandora is a music service in which listeners are given music suggestions based on their previously entered choice of music. Listeners then provide feedback on the suggested songs and/or artists, and this will affect future suggestions made by Pandora. Much of Sirius’ thrust is geared towards making long-term deals high profile artists, some of which aren't necessarily in the music business. Among the deals it has forged involve Martha Stewart, Little Steven, Jimmy Buffett and Eminem. These figures typically have their own channels on the station. 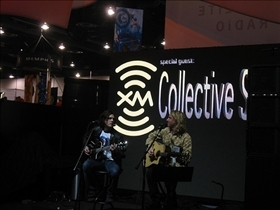 Sirius’ related company XM Radio has adopted a similar approach, having forged deals with Howard Stern, Scott Ferrall, Bob Dylan, Bam Margera, Tony Hawk, and many more. The station also has exclusive contracts with Major League Baseball, the NBA, the NHL, PGA Tour, and the Indy Racing League. Pandora’s model revolves around offering listeners suggestions based on their on preferences, and they have the option to tune in to pre-defined stations as well, some of which may even be created by other listeners. Unlike XM Radio, which has six carriers and which decodes three other carriers to save on power, Sirius has three carriers that are split between two satellites and a single terrestrial repeater network. All three signals are decoded at 4 MHz carrier signals, which gives the station the edge in terms of signal diversity. Pandora, for its part, allows for 64-bit operation under Windows 7, although the Pandora Gadget only works in 32-bit, which is more a limitation of Flash than of the station. Which radio service is the best?